Snow and fog sweep over Flagstaff Mountain just outside of Boulder, Colorado on a cold but beautiful November morning. 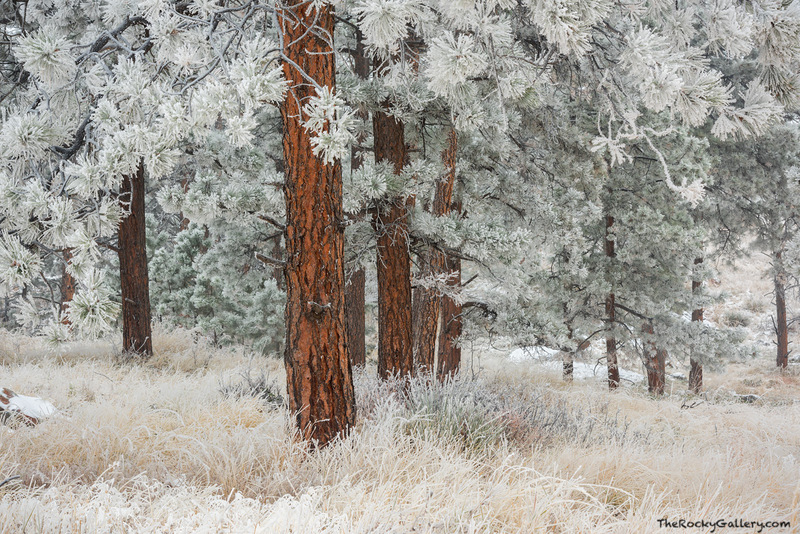 Flagstaff Mountain has some of the best Pondersoa Pine tree's in the Boulder area and on days when its snowy and foggy there is a good chance I'm out on the mountain photographing these frosted beauties. Photo © copyright by Thomas Mangan.